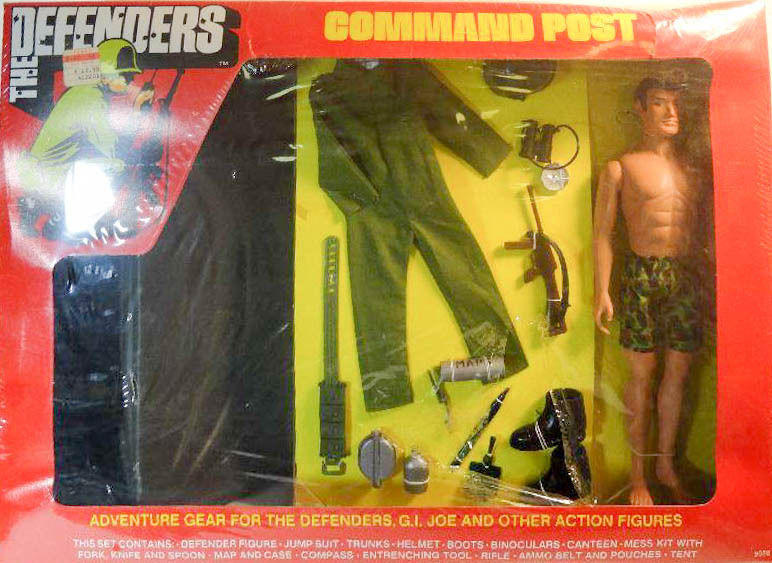 One of three deluxe Defenders sets that include a figure, gear and a large accessory, Command Post includes a unique all brown version of the submachine gun first found back in the SOTW French Resistance Fighter set, along with a black Australian entrenching tool, and the first green army helmet since 1968, though with a rubber strap. The tent is a solid molded piece as apposed to the more realistic cloth versions of the 1960s. The long levee green jumpsuit is unique to this set. Image courtesy of a private collection.